He brought a South African aloe plant into the chamber and used it to demonstrate the resilience of the economy – but also the bitter realities that face South Africa. Mboweni says the 2019 budget is built on six points. Government will spend about R1,83 trillion for the financial year 2019/20 and the bulk of the money goes to Social Services. Mboweni has tabled his maiden budget in Parliament – giving cash strapped Eskom R23 billion a year to undertake its electricity market reforms. The biggest slice of the budget cake goes to Education with an allocation of R386,4 billion. Mboweni says the budget remains focused on the poor. 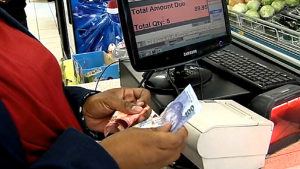 The post Mboweni says SA has urgent task of resolving “rot” in economy appeared first on SABC News – Breaking news, special reports, world, business, sport coverage of all South African current events. Africa's news leader..